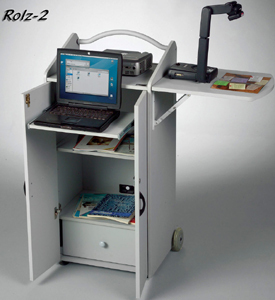 Secure expensive equipment behind locking doors in a classroom, training room or conference room. 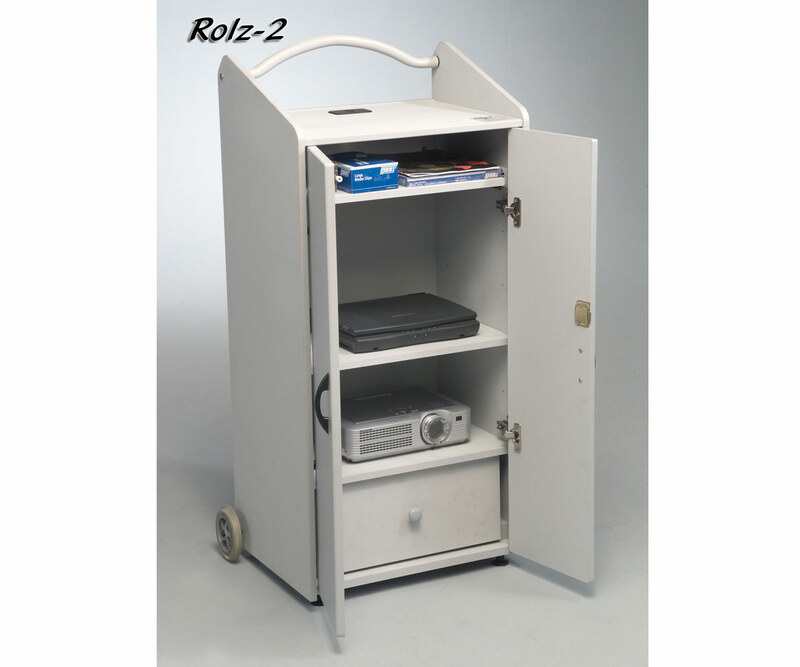 Presentation center with storage for AV equipment and supplies. 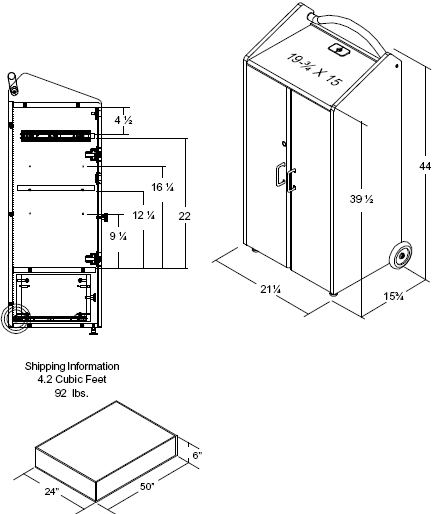 Locking door provides equipment security when not in use. 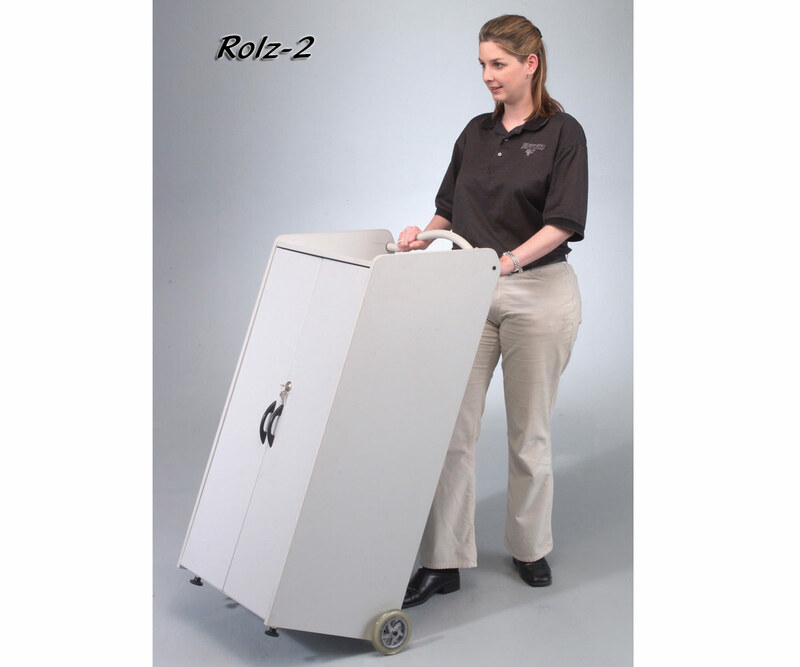 Equipped with convenient handle and two 5" casters for portability. 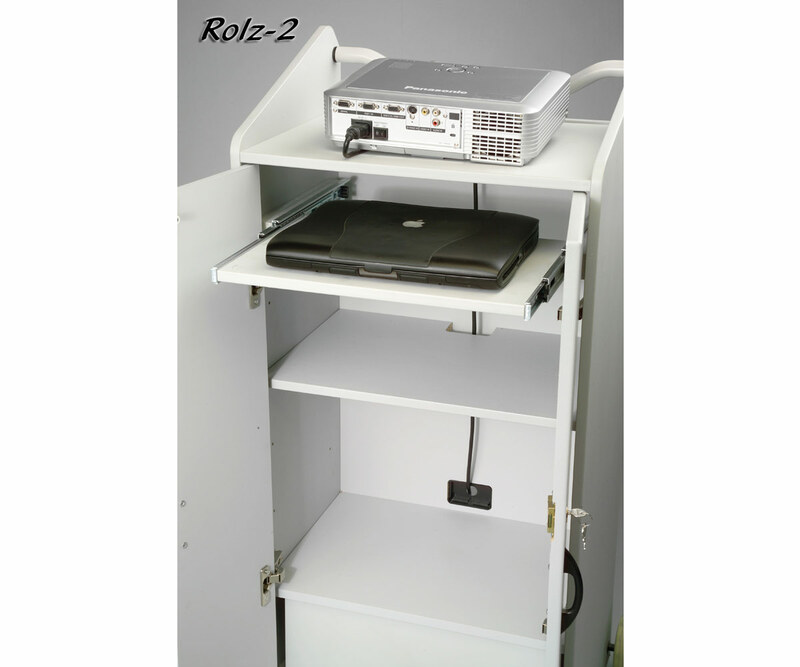 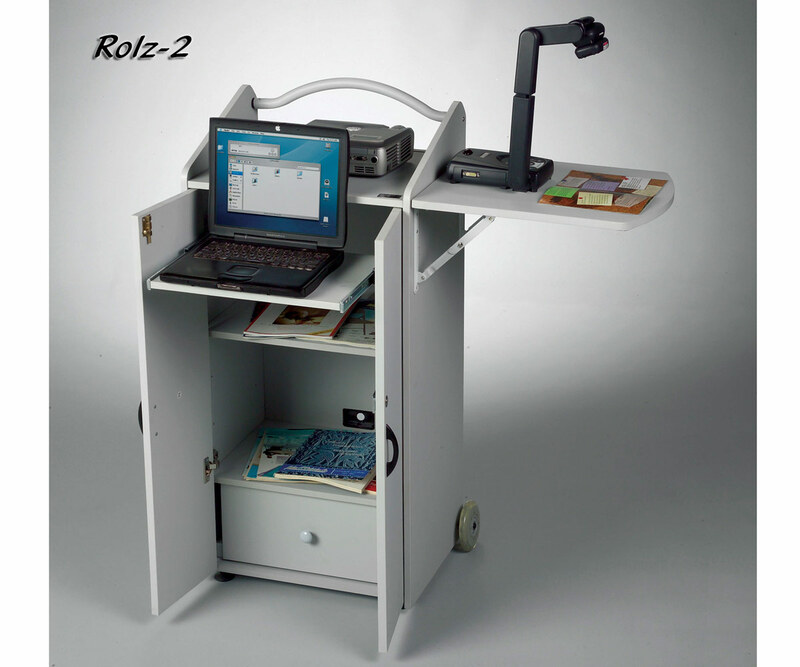 Retractable shelf for use with laptop and presentation materials. 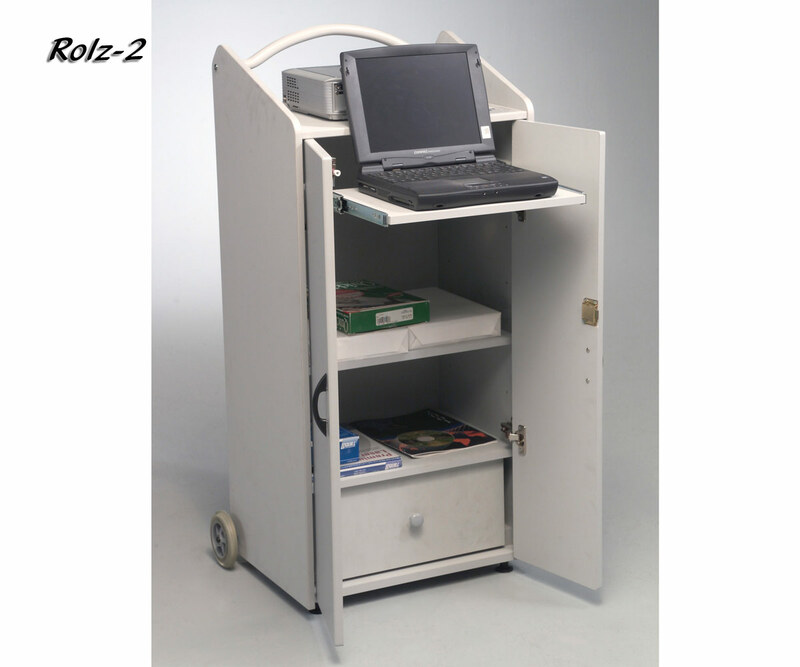 Includes two shelves; middle shelf adjusts up or down 3" in three positions to hold larger equipment. 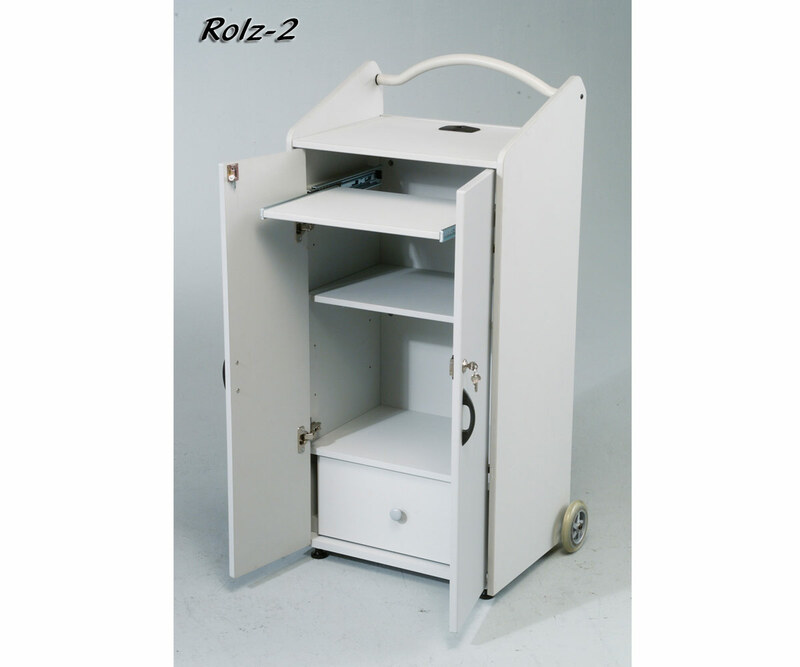 Storage drawer measures 8" H x 17 1/4"W x 11"D.
Side shelf (20"w x 16" D) for additional equipment sold separately. 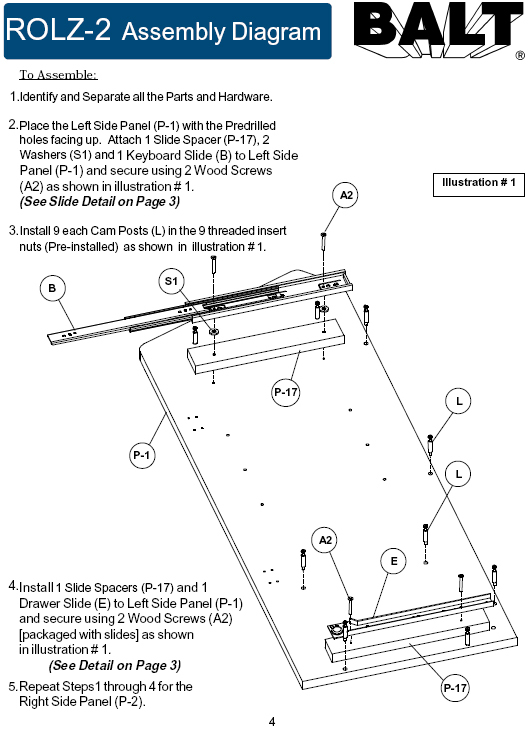 Mounts on left or right side of unit. 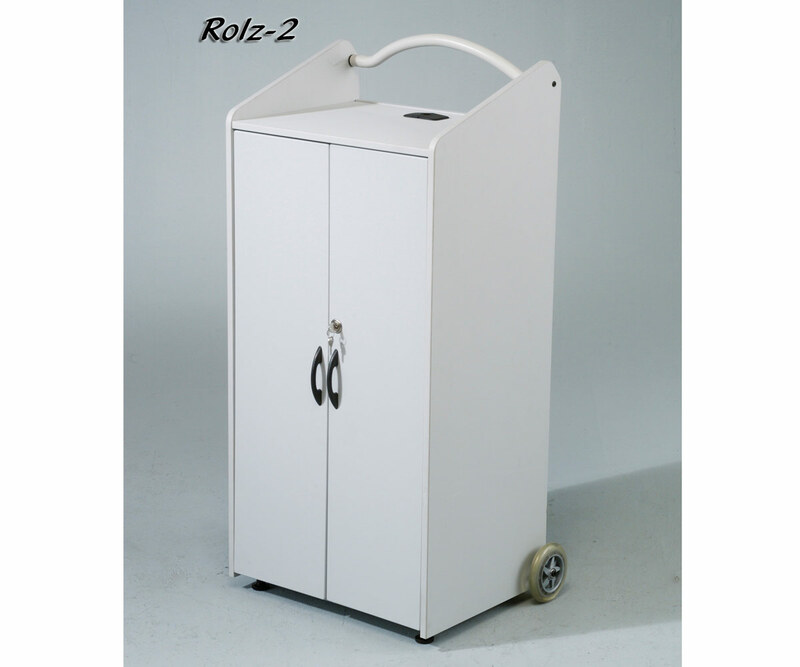 Handle rotates downward and out of the way during use and up for easier control while moving. 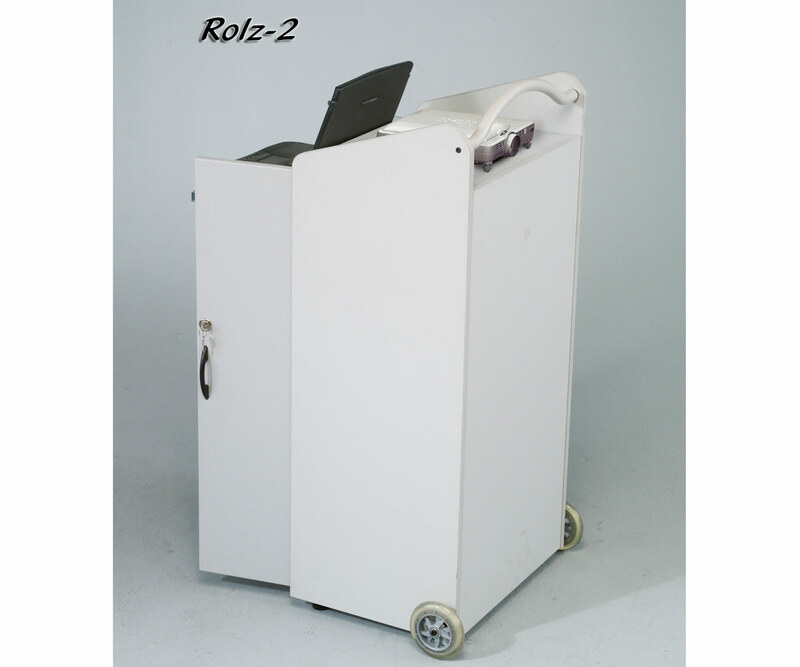 Gray laminate with 5" heavy-duty casters. 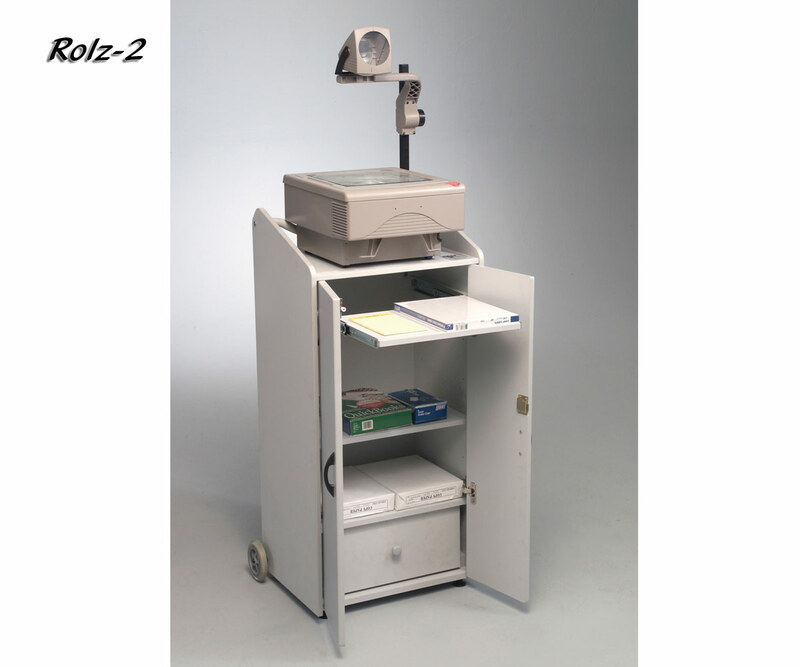 34404 Rolz-2 Optional Shelf (Gray) 9 lbs.